In the second pane of A Rake's Progress, Tom Rakewell is wearing something that is not a wig on his head. But what is it?? It's bugged me on and off for years that he seems to wearing a - what? A tea-towel, a hairnet? a stocking? Since this during a morning levée I assume it's a negligé cap. The purpose of this is to cover the head (which was typically shaved) when you did not have a wig. Not the answer you're looking for? 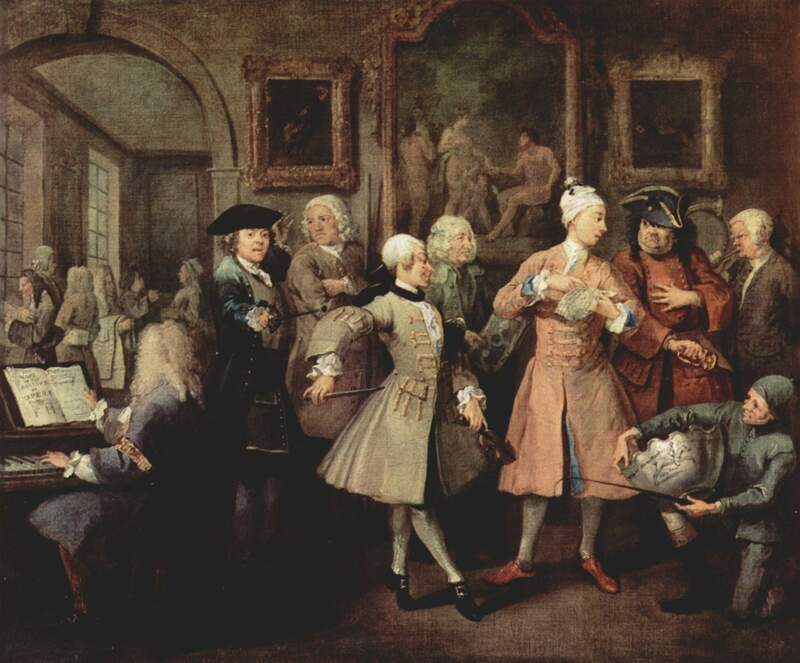 Browse other questions tagged 18th-century art clothing or ask your own question. What is Machiavelli wearing in his painting? What year or period do the clothes on Professor Binns ghost belong in? For how long were freed slaves in Ancient Rome supposed to wear a Pileus hat? What is the London Enemies List 1775? Did ninjas ever use a costume like the one we usually see in films? When did the British gentry stop wearing wigs? What was the earliest knitted sweater?